Join us for our 20th Anniversary Dare to Dream Gala, Emerald City on 11/3/2018. 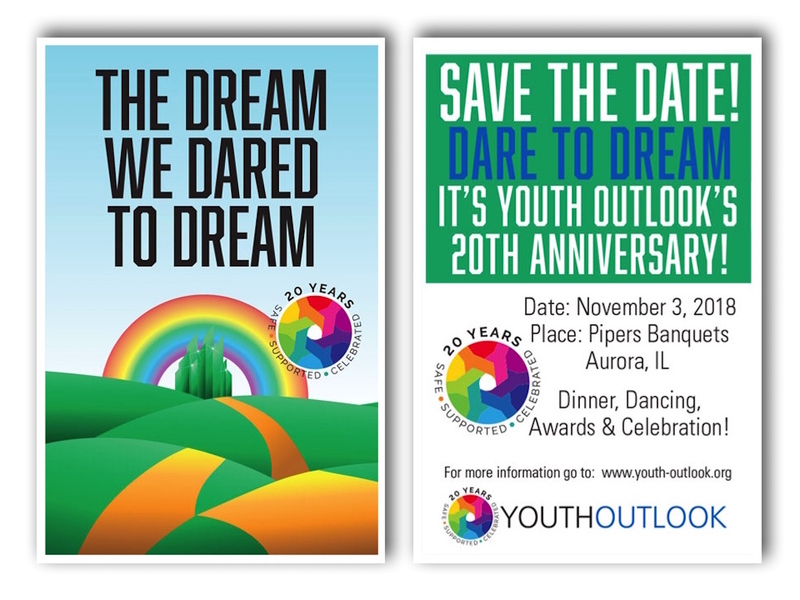 This will be Youth Outlook’s final gala and we hope you will join us as we reflect on our past and look forward to the next 20 years. The gala will be held at Pipers Banquets in Aurora from 6:00-11:00 p.m. Join us for silent auction, dinner, dancing, awards and celebration! More details and RSVP here!